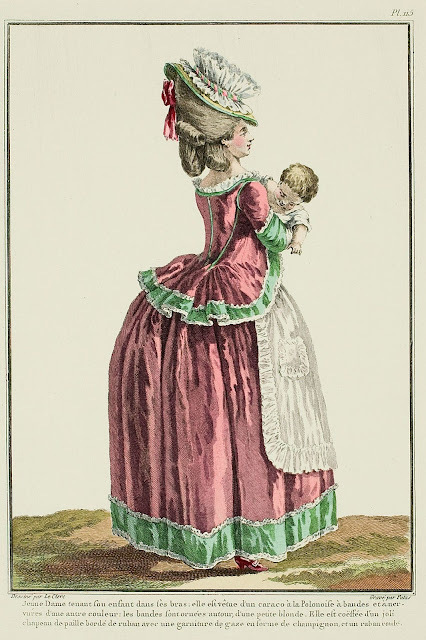 CARACO A LA POLONAISE, trimmed in bands, and crossing in front, with sleeves en parement in Peasant style. The petticoat is cut by a half-apron, equipped with pockets and trimmed with gauze around the perimeter. 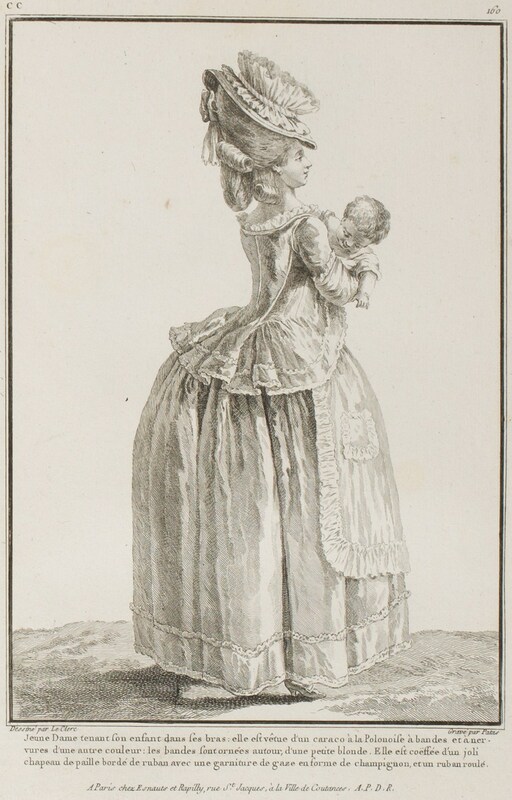 This young mother, who is walking her infant, has pierced ears furnished with little rings, called "night rings". Hair en chien couchant, hanging chignon, with falling curls on top.